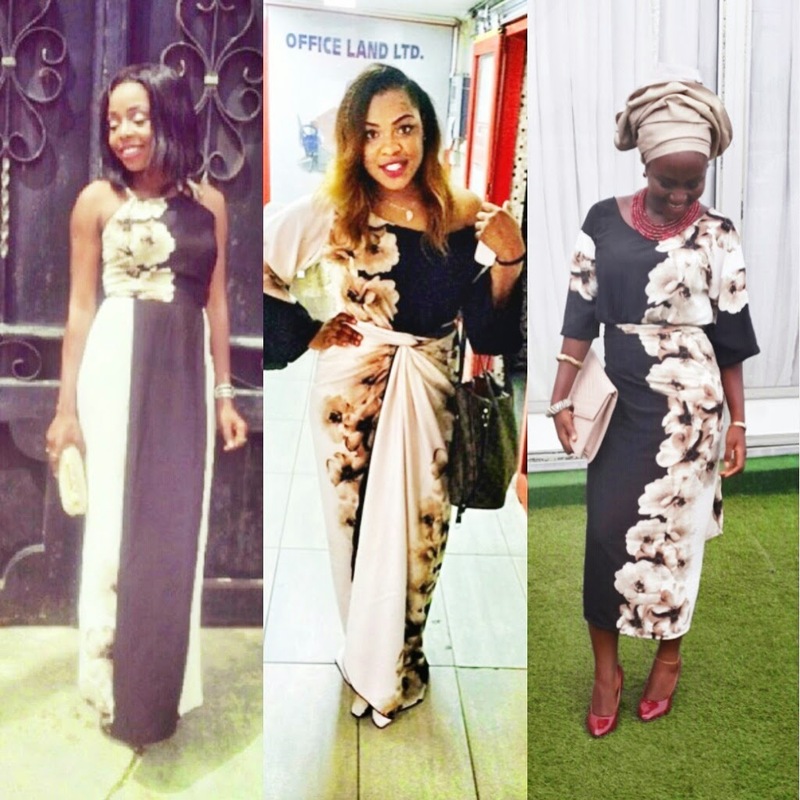 So im giving away 4 yards of the fabric shown above, you can check out the post where i wore it here. I saw how popular the post was and so i thought it would make and awesome giveaway present to one lucky follower. The giveaway will run for one month. 4. Getting a domain name. My blog is now midecoker.com whoop whoop! 6. Making Progress, since i achieved all of the above this year, ive gotten alot more followers and ive been able to network with more people, mostly because my blog is now a site and the images are more professional. So this giveaway is merely a celebration of baby steps and more to come. Shown above are three different styles made with this fabric. It's a silky fabric so the possibilities are endless. This giveaway is only open to people living in Lagos, however you can enter the giveaway if someone in Lagos can pick it up for you. Congrats on all your success girl. Haha thank you for mentioning the necklace is not included lol. I was so bummed when I saw for people in lagos cos I literally have already worn this in my mind, but since someone can pick it up yuppie. aww..so so lovely and would love to win this fabric....and congrats on all your success and wish u loads more dear. Congrats Mide. I00,000 views Whoop Whoop! congrats...i need a new camera..tears. Who no like awuf? Lol congrats girl. Congrats on the milestones! I got my layout off etsy too...didn't know the site was such a goldmine. The minimalist look is amazing, nothing beats clean, simple and fresh.